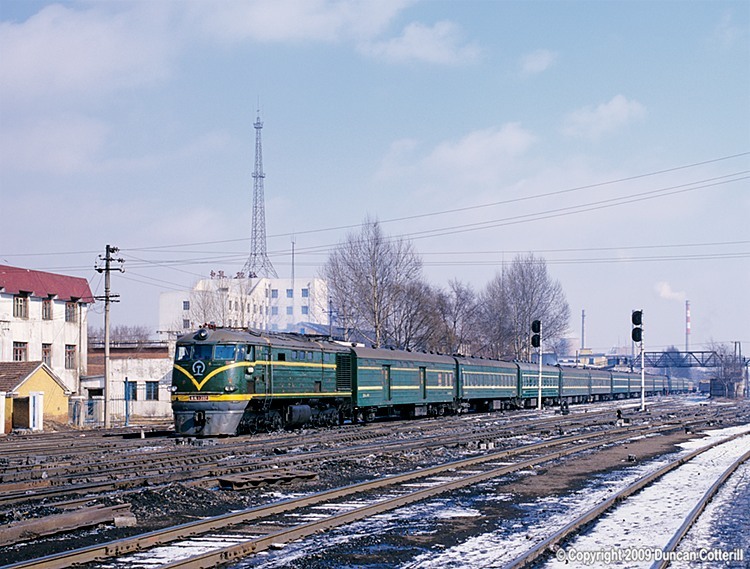 Heihe bound passenger trains are worked by Heihe Local Railway traction from Bei'an northwards. In 1999 the railway used second hand DFs on all its trains. On 14 March 1999, DF 1392 left Bei'an with train 605, the 06:05 Harbindong - Heihe passenger.